Barça ready for final El Clásico of the season! After wrapping up the La Liga title in last week's 4-2 win at Deportivo, Barça is hosting Real Madrid at Camp Nou in the final El Clásico of the season. Ter Stegen, Cillessen, N. Semedo, Piqué, Rakitic, Sergio, Denis Suárez, Iniesta, Suárez, Messi, O. Dembélé, Coutinho, Paulinho, Paco Alcácer, Jordi Alba, S. Roberto, Umtiti and Vermaelen. Left out are Digne, André Gomes, Aleix Vidal and Yerry Mina. 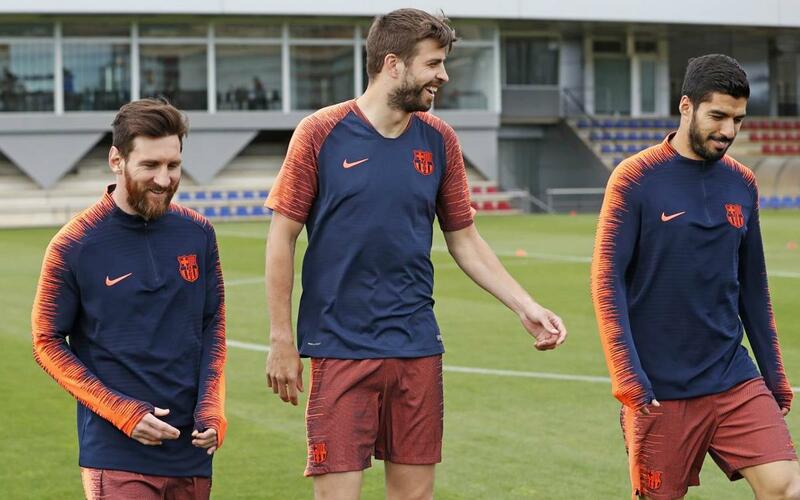 All available players trained at the Ciutat Esportiva on the eve of the Spring 2018 edition of football's biggest rivalry. Kickoff on Sunday night is at 8.45pm CEST.